So what if Ivanka cried when she saw Donald Trump’s Access Hollywood tape? Anonymous White House sources are exceedingly kind to Ivanka Trump. Then, a few minutes or maybe hours later, Ivanka hurried right back in and helped make that man president. The Times is extraordinarily credulous of this sympathetic story. On Tuesday’s episode of The Daily, the publication’s daily podcast, reporter Jodi Kantor recounts the story as if she were there. She wasn’t. “Would you describe for me that scene a few weeks before the election inside Trump Tower between Donald Trump and his daughter, Ivanka?” host Michael Barbaro asks. Kantor obliges, with no mention of the unnamed members of the Trump campaign who told her the tale: “Her face grew red, she choked up a little bit, and she ran out of the room in frustration.” Barbaro makes fleeting mention of the fact that this story is an “inside account,” but other than that, it’s passed off as truth. 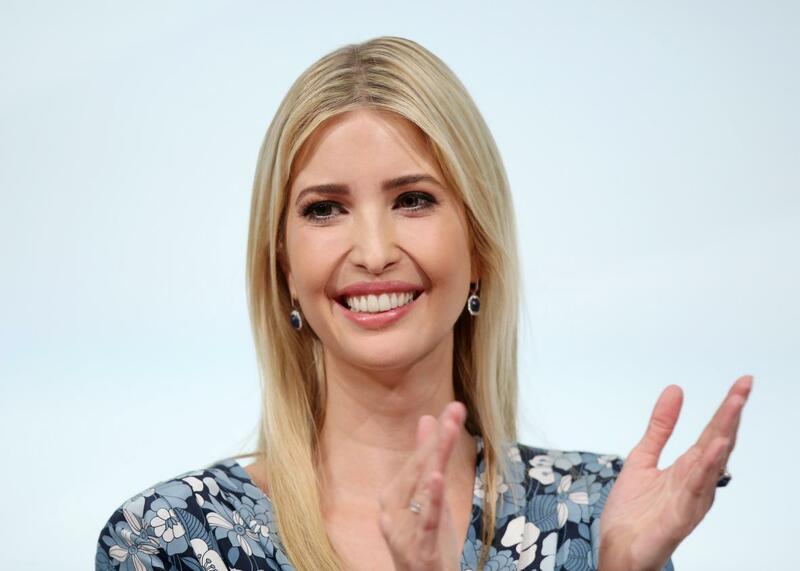 Ivanka and the Trump cohort have every reason to portray the president’s daughter as a sane bastion of humanity in the White House. Her utility to her father begins and ends with her gender: She is a woman who claims to champion “women’s issues” in a woman-hating administration. The Access Hollywood video has come to serve as shorthand for all the misogynist things Donald Trump has said and all the sexual harassment and assault he’s allegedly committed—of course the Trumps want to position Ivanka against it. This account makes Ivanka look like a person with values and empathy. Or does it? Anyone who’s ever cried at work, where Ivanka welled up, knows that tears can come from frustration and anger that have nothing to do with personal emotional hurt. Assuming the story is true, Ivanka might have just been mad that her father wasn’t taking her advice, or irritated because one leaked tape might have invalidated her hard work on his campaign. An Axios piece on the Ivanka tears story contends that “it matters” because it shows that “Ivanka is clearly more emotional and compassionate than her father has been publicly.” The idea that someone who cries feels more than someone who doesn’t is false and, frankly, sexist. Tears don’t always indicate compassion. And in this case, where the tears allegedly came because of Donald Trump’s refusal to apologize—not because he admitted to sexual assault—it’s a far leap to intuit any measure of kindness from them. But there is no evidence that Ivanka has ever actually moderated or influenced anything, other than a disaster of a child-care proposal that would have given Ivanka herself several thousands of dollars in tax breaks while average Americans got less than $20. Anonymous sources—they’re everywhere!—keep whispering that Ivanka and her husband are keeping the president from doing the worst things he wants to do. Even so, Donald Trump has still tried to ban Muslims from entering the country, placed a proponent of white nationalism in a position of unprecedented power, and put two anti-contraception zealots who believe, against all scientific evidence, that abortion causes breast cancer at the head of essential Health and Human Services operations. In her interview on The Daily, Kantor says Ivanka told her she hopes to “sand down the edges” of bad policies she can’t outright kill. If these are Trump’s policies with the edges sanded down, what were the original plans? Death camps? David Duke? Handmaids? Ivanka’s glamour and seeming intelligence helped Donald Trump, a genuine threat to democracy and American lives, get elected president. Her function at the White House is that of a mitigating agent, using her palatable persona to convince the public that there’s a force for good on the inside and that a president she supports can’t be all that bad. The story of Ivanka storming teary-eyed out of a meeting about her father’s misogyny supports that mission. An adviser to the president shouldn’t be judged by her alleged personal reactions, but by her actual, substantive actions. The public is only taking cues from the former because Ivanka has accomplished so little of the latter.